While our staff works, our customers can rest and relax since they will not even need to lift a finger. We can handle the packing, loading and unloading. Same-day man and van jobs are our forte because we are like a well-oiled machine that works seven days of the week, including on bank holidays. We maintain highly protected storage units in Lea Bridge E10 that we offer at budget-friendly prices. Our customers can rent them for a short or a long amount of time, depending on their needs. E10 clients should rest assured that their personal possessions and furniture pieces will be safe since the storage facility is under 24/7 CCTV surveillance and it is heavily guarded. Also, we clean the rooms on a regular basis. If you choose to hire one or more of our storage units, we will take care of the transportation of your belongings to the facility. For the safety of your possessions, avoid using old cardboard boxes. Instead, you can call us and we will provide you with a speedy delivery of moving supplies in Lea Bridge E10. This is very affordable service and it will not increase your moving budget dramatically. Even if you need quality packing materials today, you can get them through our reliable moving boxes delivery in E10 Lea Bridge because our trusted professionals work every day. Lea Bridge is located in the borough of Hackney and it borders with districts like Leyton, Upper and Lower Clapton, as well as with Stamford Hill. As its name hints it, the neighbourhood was named after a bridge that was constructed on the River Lea during the 18th century. E10 is rich in open spaces and it is home to a number of sports facilities and centres. Lea Bridge is the closest train station. We have trained teams serving the entire Lea Bridge area. A large proportion of the district’s territory is covered by Millfields recreation grounds. E10 was not a particularly popular area in the past but after it was gentrified a while ago, its popularity witnessed a quick spike. 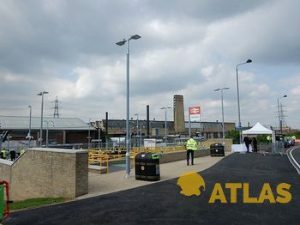 One of the largest spots facilities in the area is Lea Bridge Stadium which used to be the home ground of Leyton Orient Football Club during the 1930s.